Summer has come to a close, though in many parts of Oregon it certainly doesn’t feel like it. We’ve been enjoying some gloriously sunny days and seeing cyclists o the roads in big numbers. But let’s be honest, we can’t live in paradise forever and if we’re not careful the rains will catch us off guard before we realize it. The best defense is to be prepared. The rainy season can be a contemplative time of year. Cozy up with a book, get caught up on house projects, play games, surf the internet a little more, watch movies, enjoy an online casino for US players, or just relax with friends. But you know, it’s also an awesome time of year to ride a bike! 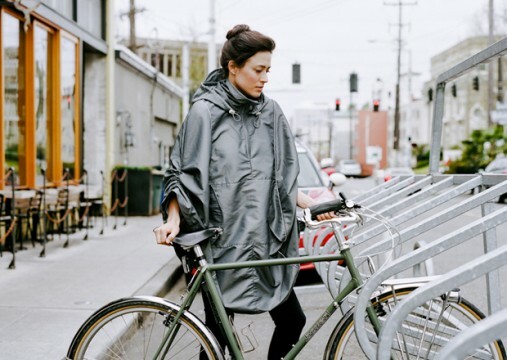 Here are some of our favorite tips for riding in the rainy season. Invest in awesome gear that works well. Prices vary wildly on gear, but with a reputable company you get what you pay for and your gear will last. It is worth the investment, so dedicate yourself to your bike life. Friends. Ah friends. They hold us accountable. They keep us motivated. Solo, you just might change your mind and decide not to ride. It’s cold. It’s wet. No one will know if you don’t go out for a ride. But when you make plans to ride with friends, it’s not so easy to ditch. Find your friends. Show up. Ride. Revel. Relax. You’re going to get home or get to the office and have a mess of sloppy wet gear. If they don’t dry well, they’ll stink. And they’ll still be wet the next day, or for your ride home. Designate an area where your gear can air out and hopefully dry. Put towels or rugs on the ground so you don’t have to worry about dripping. Well, it’s never going to be as fun as a sunny climb up Saltzman or a country road cruise, but rainy day rides can be fun. Go places you wouldn’t usually go. Notice how the tree greens seem richer. And at the end of the day, celebrate that you did it. You were resilient. You were powerful. In the upcoming weeks, we’ll be publishing more articles with tips for riding through the rainy season and riding through the winter. We’d love to hear from you! Are you new to the area and struggling to adapt to our rainy climate? Let us know what information we can share to ensure you can stay on your bike. Are you a seasoned veteran with all sorts of hacks and tricks? Let us know! We know you have valuable wisdom and we’re eager to hear it!